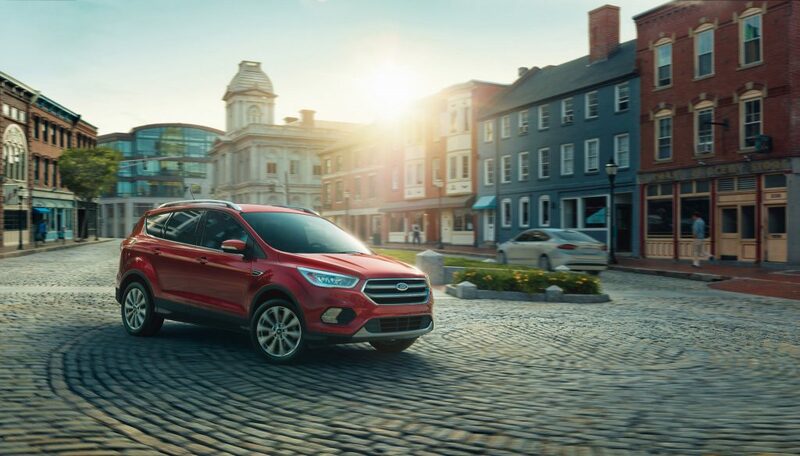 The 2018 Ford Escape is a stylish and spacious crossover designed for drivers who love technology. Designed to please the modern driver, the Escape boasts a number of innovative features that set it apart from the competition. Here’s a quick look at the technology found in the Ford Escape from us here at Tropical Ford. The 2018 Escape is available with the latest SYNC® 3 infotainment system. This version features advanced, real-world voice-recognition software, a responsive touchscreen, and Wi-Fi® hotspot connectivity. Drivers can easily enter a destination and integrate their compatible smartphone with Apple CarPlay™ or Android Auto™. FordPass™ is the latest technology from Ford. The mobile app is designed to allow drivers to move quickly and efficiently during their day-to-day activities. Through the app, drivers can find parking, compare fuel prices, and remotely lock, unlock, and start the vehicle. Ford Escape owners can even schedule service with a few taps on the screen. The Ford Safe and Smart™ package features a number of innovative safety technologies. The package includes rain-sensing windshield wipers, automatic high-beam headlamps, a Lane-Keeping System, and Adaptive Cruise Control. Drivers will enjoy more advanced technologies in the form of the Blind Spot Information System® with Cross-Traffic Alert and Forward Collision Warning with Brake Support.